Butternut squash fights cancer, lowers blood pressure & protects skin and hair! Butternut squash helps fight cancer, lowers blood pressure & protects skin and hair! Butternut squash helps fight cancer & keep you healthy! With the change of seasons, winter vegetables are beginning to be more prominent at farmer’s markets. For many, Fall is their favorite season — the crisp weather, the beautiful leaves and their favorite foods — like pumpkins or butternut squash! Beta-carotene intake strongly associated with reduced breast cancer risk! High potassium intake is associated with a 20 percent decreased risk of dying from all causes! 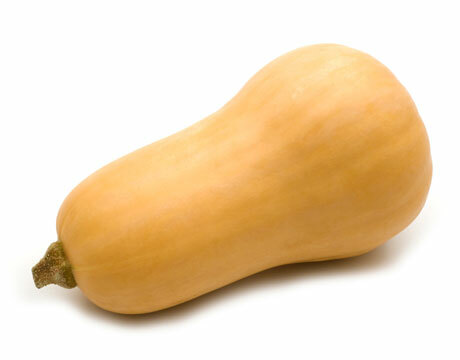 Butternut squash increases sebum production to protect against dry skin and broken or damaged hair! Combine cranberries, orange juice, oil, honey, ginger, salt and pepper and let sit for 1 hour hour while occasionally stirring. Grate squash in food processor. Pour dressing over squash and let sit at room temperature for 30 minutes before serving to allow flavors to mix.